Burner App Review for Android - Disposable Phone Numbers! ~ AndroidRootz.com | Source for Android Rooting, ROMS, Tricks and More! 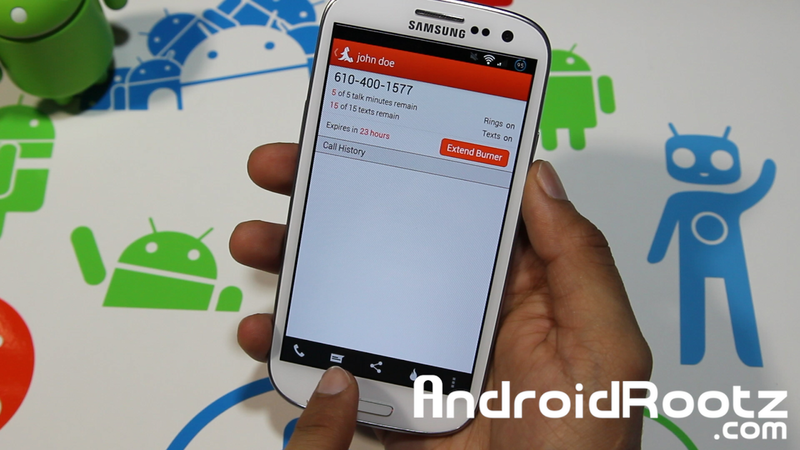 Burner App Review for Android - Disposable Phone Numbers! Ever wanted to be an uncover spy, but didn't want to constantly buy a new phone so you couldn't be tracked? Well with Burner app for Android you can be or just use it for something else! Burner app is an easy to use app that allows you to mask your name and phone number when you call or text them using the services within the app. I tested the "burner" feature out and it works great! You also get a free limited time sample that comes within the app, once you use that up you can go ahead and buy more "burner minutes" at a fair price. You can also go ahead and choose your masked phone number and called ID name! Try out this app using the link below!